Although vodka is usually enjoyed as a popular alcoholic beverage, it has numerous beauty benefits as well. It is naturally antiseptic, works as an astringent and tightens the pores. Furthermore, it cleanses and brightens your skin. Thus, it serves as an inexpensive yet effective ingredient for maintaining healthy skin and hair. 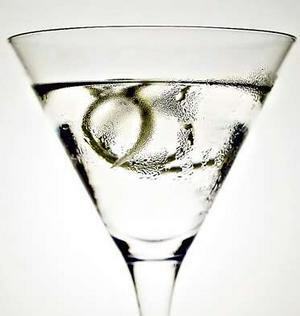 Basically, vodka is a colorless and odorless alcoholic spirit that originated in Russia. It is distilled from cereal grains like wheat and rye. Plus, it can also be made from potatoes, beets, grapes, or any other fruit. • A combination of watermelon juice, vodka, and water works as a good skin toner. • Mix two tablespoons of vodka, one tablespoon of fennel seeds, and one and a half teaspoons of organic honey in a bowl and keep it aside for about three days. Finally, strain the fluid. You may add two teaspoons of distilled water in this recipe, in case you have sensitive skin. Regularly apply this home remedy on your skin with the help of a cotton ball to reduce wrinkles. • Take five ounces each of strongly brewed rose hips tea, mint tea, lemon juice, and vodka. Blend all the ingredients together. Then, pour this skin-care recipe in an ice tray and place it in the freezer. Next, wrap these ice cubes in a cloth and gently rub it on your face and neck to remove excess oil and get beautiful, clear skin. Here’s a video showing how to make a skin toner with Russian vodka for oily skin. • Soaking your feet in a foot bath mixed with vodka is useful for getting rid of foot odor. Besides, simply washing your feet with vodka is also beneficial in this regard. • You can apply a little vodka on a cold sore to dry it out. • Take a 12-ounce shampoo bottle and add a jigger of vodka (almost one and a half ounces) in it. Shampoo your hair with this mixture to cleanse the scalp and make your hair grow faster. • To cure hair loss, mix a tablespoon of organic honey and onion juice (extracted from a medium-sized onion) in a jigger of vodka and apply this recipe on your scalp. Leave it on your hair overnight and wash it off in the morning. You can wear a shower cap to cover your hair. Follow this therapy daily at night. • Using water mixed with a tablespoon of vodka as a final rinse removes product buildup from the scalp and promotes hair growth. It also makes your hair lustrous and shiny. • Applying organic vodka on a poison ivy rash helps relieve itching as it removes urushiol oil that causes this problem. • When dealing with dandruff, add three teaspoons of dried rosemary in a cup of vodka and leave the mixture aside overnight. Next, strain the solution and massage it on your scalp. Wash it off with cold water when it dries. Vodka can be used as a homemade mouthwash, too. For this, you need to take two cups of vodka in an airtight bottle, mix a quarter cup of cinnamon powder in it and set the mixture aside for two weeks. Finally, strain the liquid and rinse your mouth with this recipe by adding an equal amount of lukewarm water in it. Interestingly, it is believed that llightly spraying a solution of two-thirds of water and one-third of vodka on your clothes can help avoid bad smell caused by perspiration.